Friday was Kris’ birthday, so I kidnapped Becky in the middle of the night to help him celebrate this weekend. We brought an ice cream cake. It was a Baskin Robbins mocha ice cream cake. Need I say more. I mean, I’m pretty sure he liked it, but I loved it! It’s the little things in life, right? Ice cream cake love aside, it was a fun-filled weekend. Saturday was spent with Becky the banana, Lisa from Mito, and Carolyn relaxing in Funabashi. Aside from spending the day in great company, one highlight was after Becky and I finished our run around Kamagaya. We decided to stop into a store for breakfast items. Becky had a lovely, somewhat damp with sweat, 1000yen bill to pay with. It would have all been fine and dandy if it weren’t for the fact that the cash register wouldn’t take the bill, and the sales lady looked at us like we were crazy foreigners. I mean, we are. But still. After apologizing profusely, we bolted out of the store, laughing the whole way home. 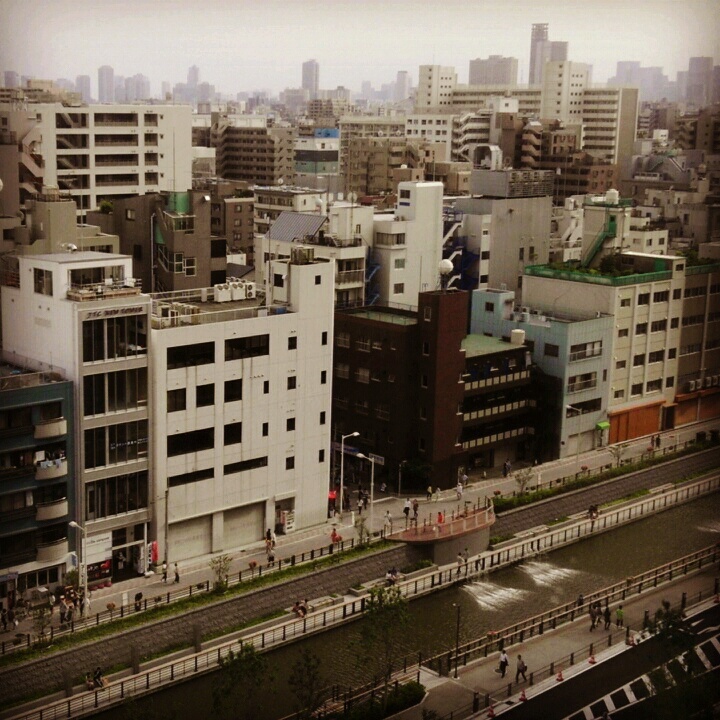 Sunday, Kris, Carolyn and I went to Soramachi (Sky Town) at the base of the Tokyo Sky Tree. It was pretty win! Prices were a tad steep, but it was well worth the experience. The tower isn’t open to the public yet, but there is so much to do at the base. From eating cold stone ice cream, to going to the planetarium or the aquarium, there is something for everyone. It was super busy. Luckily, though, I got a pretty sweet hermit crab from one of those capsule machines. I had to build him. He’s pictured below. I might name him. Lastly, we met Kate in Ginza for coffee. It was the most delicious 945yen coffee I’ve ever had. Actually, it was the only 945yen coffee I’ve ever had. This weekend – Party in Chiba at a park on the Tokyo bay! Summer vacation – Hakuba fireflies, Mt. Fuji climb, Kyoto, Nara, Kagoshima, and Vietnam backpacking. 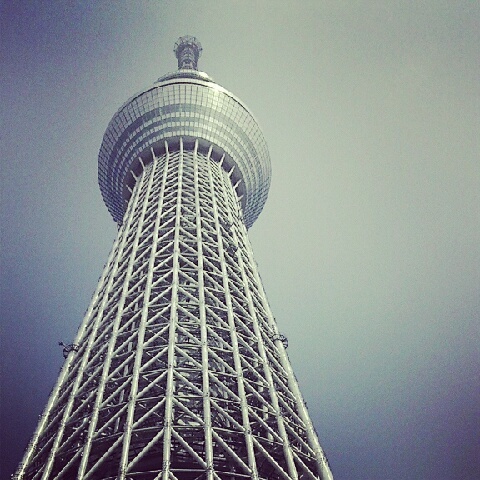 Great photo of the Sky Tree. Perfect angle and lighting!